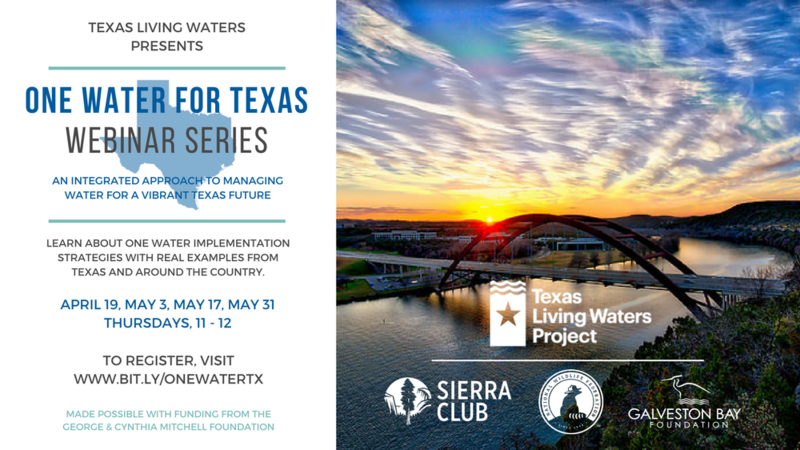 The One Water webinar series explores the processes involved with implementing One Water strategies in community, and includes real examples in Texas and around the country. What is One Water and why are so many people talking about it? Is this something that your community should be exploring? How are One Water solutions being planned for and implemented in Texas and the US? What are these communities experiences and lessons learned with One Water? How can your community get started on One Water? Part 1: Advancing One Water in Texas: What is One Water and why it is important to Texas’ future?